"Data Management for Smart Grid Applications"
Grid Data Vault is a seamless and highly scalable software application that effortlessly compresses inactive EnergyIP data, while providing flexible access so that data is available whenever and however it is needed. 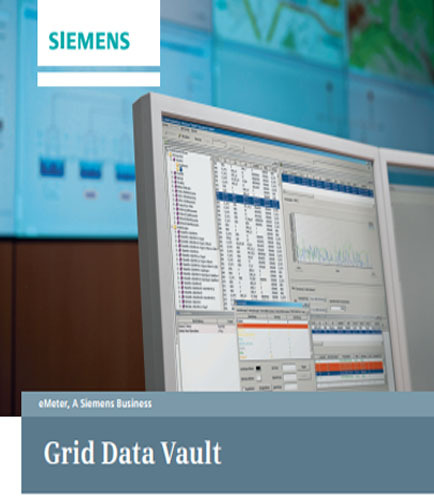 Grid Data Vault represents a 360 degree view of data management for Smart Grid. How can a data archiving approach using Grid Data Vault streamline the data management process? What are the key benefits of using Grid Data Vault in smart grid applications? How can smart grid technology help in significantly reducing data storage and maintenance requirements? How can Grid Data Vault overcome the data management complexity and the risk of non-compliance? Get rid of extraneous infrastructure, power, and overall costs associated with storing vast amounts of inactive data!!! Download this whitepaper on “Grid Data Vault: data management for Smart Grid applications” to get started now.